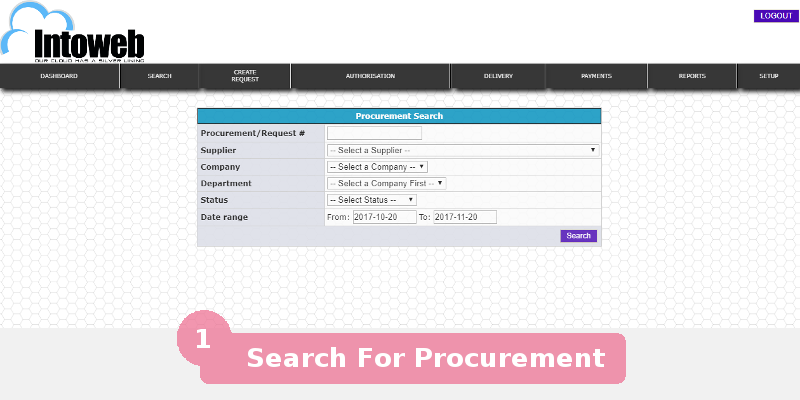 Intoweb's online procurement management software manages the procuring processes of a business from beginning to end and is used for procurement requests, placing of orders for puchases and reporting. 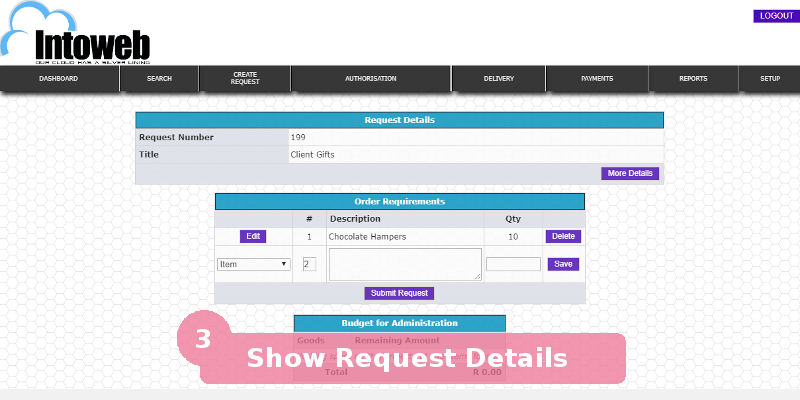 The procurement management software can be integrated according to customer needs. 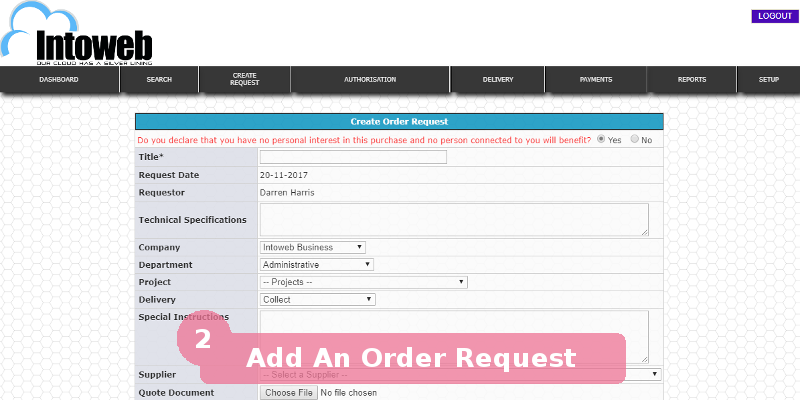 The online procurement software can be integrated into the other modules or as a standalone online procurment software . 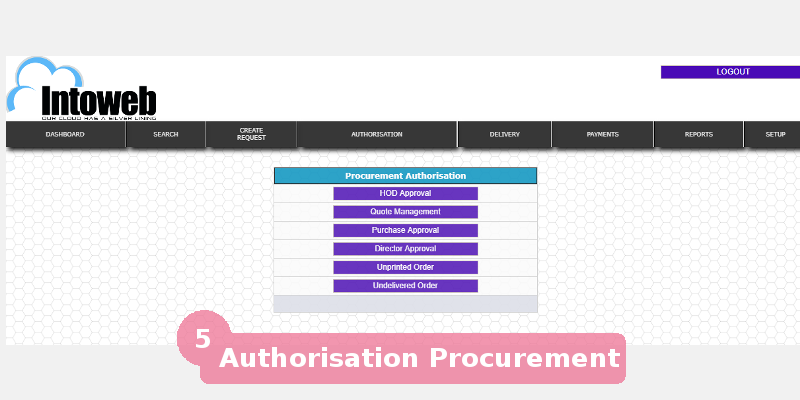 The procurement process in your business can be tracked from beginning to end. 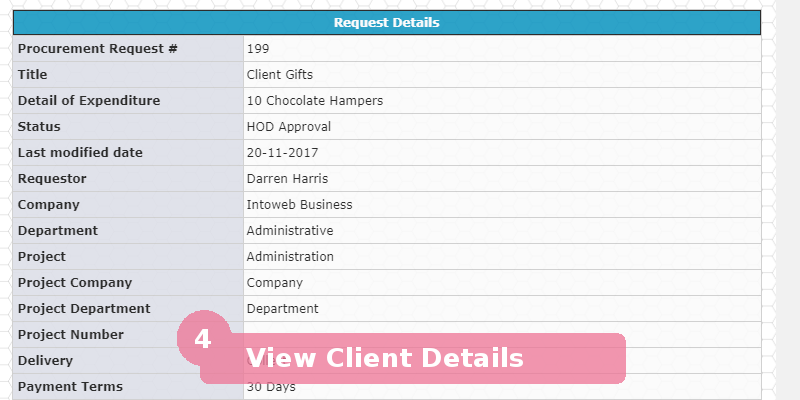 the system is online and can be accessed as long as there is an internet connection.